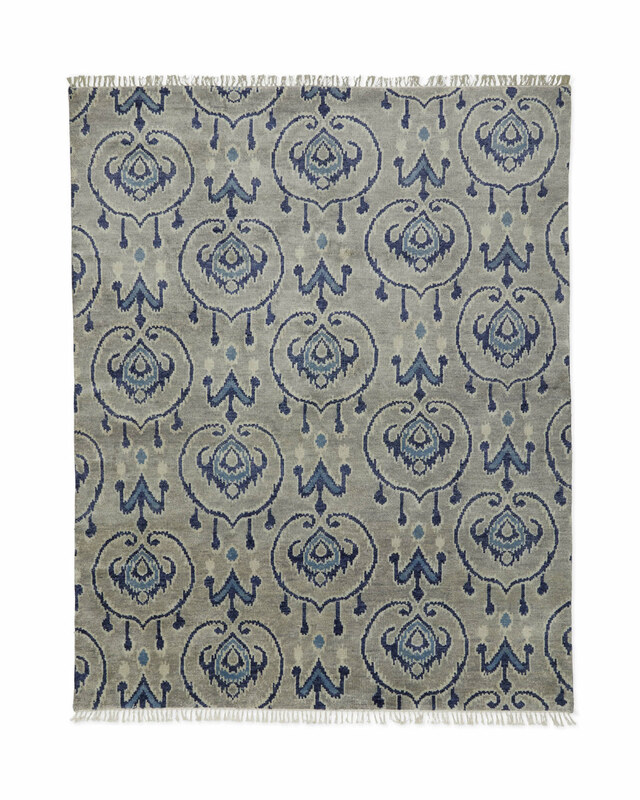 Channing Hand-Knotted RugChanning Hand-Knotted Rug, alt="Channing Hand-Knotted Rug, "
Print When it comes to neutrals with a bit of depth, shades of blues and greys deliver. 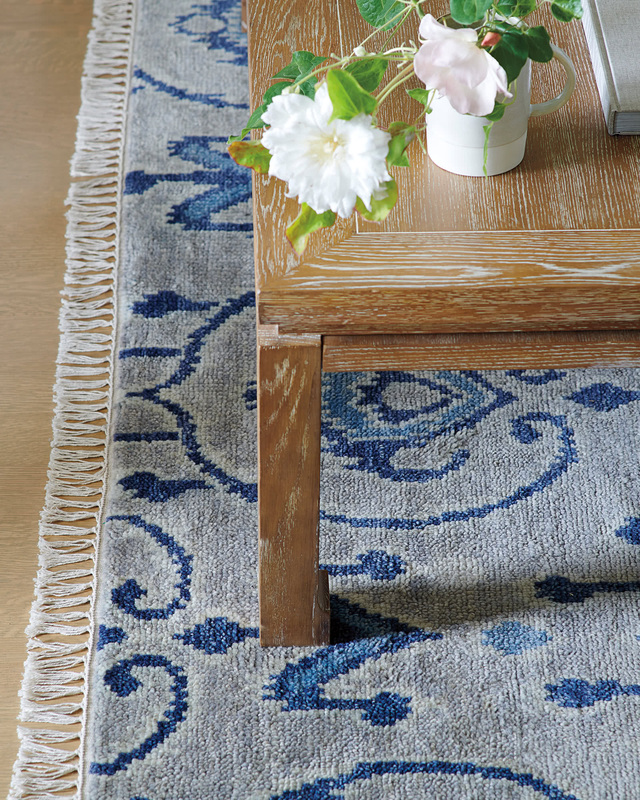 When it comes to quality, handknotted rugs top the list. It goes to follow that this is one of our must-have layers. 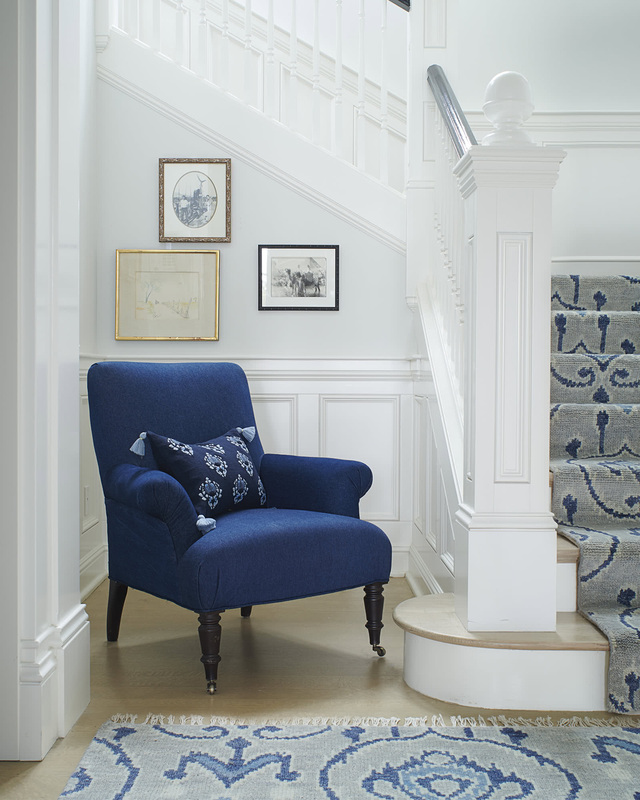 Hand loomed from soft New Zealand wool, cotton fringes trim the edges. 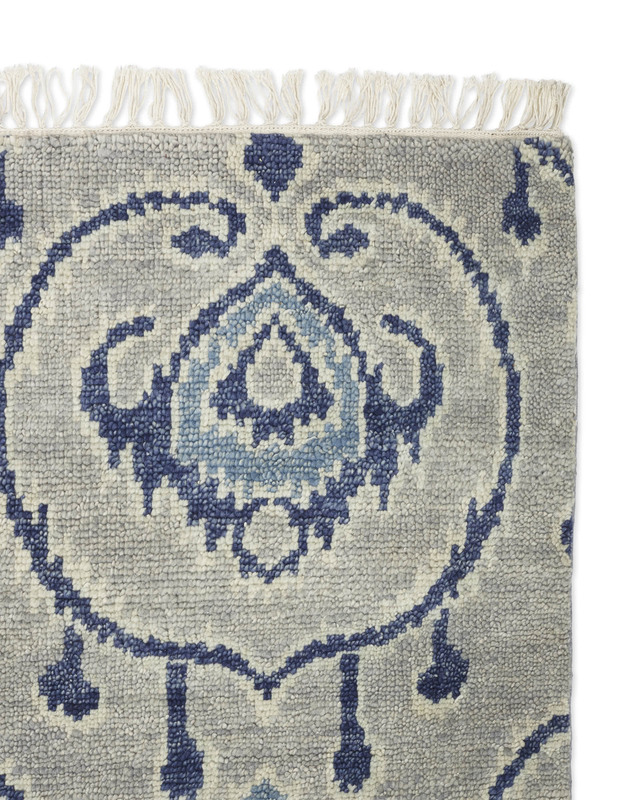 The stylized medallions were inspired by a pattern we spotted in our travels. 80% New Zealand wool, 20% cotton. 3.5’ x 9’, 5’ x 7’, 8’ x 10’, 9’ x 12', 11' x 14'.